On Tuesday evening, lawmakers and child welfare advocates from Miami-Dade, Broward and Palm Beach Counties gathered at the Broward College Performing Arts Center for a public forum aimed at saving children who are being supervised by the Department of Children and Family Services. At times, the meeting turned heated. "You guys need to get some anger and outrage in you to change the current conditions," said Pat McCabe, who said he became a foster parent after learning about the case of Rilya Wilson. Wilson was a South Florida foster child who is believed to have been murdered by her caregiver, though her remains have not yet been found. At the meeting, McCabe urged the 20-plus person panel to take serious action. "They really want to put this issue quietly to bed and say they're doing the best they can. Well, I don't believe they are," he said. It has been four weeks since Catalina Bruno was arrested after her baby Bryan Oscoela died inside her hot car. Judge Jeri Cohen who presides over DCF cases in juvenile court weighs in on this controversial case. NBC 6's Diana Gonzalez reports. 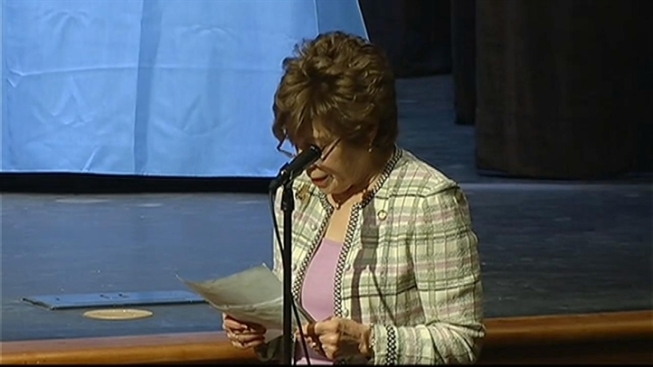 State Senator Eleanor Sobel called the Tuesday night panel for that reason. As Senate Chair for Child, Families, and Elder Services, Sobel insisted that something change. Sobel said her concerns were raised following a Miami Herald report that 20 children since April have died on DCF's watch. Former State Senator Nan Rich explained the state's child welfare and protection systems are many, and would work better, if they came together. "They all need to be sitting in a room talking to each other, whether it's DCF, or the Department of Health," Rich said. A Department of Children and Families child protective investigator and her supervisor formally resigned Thursday, effective immediately. Both were the focus of an internal investigation involving the case of Catalina Bruno, charged in the death of her 11-month-old son. The former DCF investigator, Shani Smith, and her attorney David Kubiliun discussed the case. Her supervisor Duray Smith resigned in an email, while DCF Regional Director Esther Jacobo issued a statement. Acting DCF Secretary Esther Jacobo said that by year's end, the agency hopes to roll out its Florida Safe Families System or "FSFN" to keep all of its staff up to date on at-risk kids. "It keeps record of children that have investigations, of all the actions taken by case managers and protective investigators and experts on the case. It tracks medications," Jacobo said. "All of the information that we have about the children in our system is in that FSFN." Jacobo replaced former DCF Secretary David Wilkins who stepped down after the back-to-back deaths of children under DCF supervision. Some child welfare advocates believe years of budget cuts are among the state's biggest challenges in protecting its vulnerable children. Cindy Arenberg-Seltzer, President and CEO of the Childrens' Services Council said the cutbacks have left some DCF caseworkers with as many as 20 or more kids to track. "You have to keep adequately funding the system, you have to keep training people, you have to keep getting the word out," she said.